Madeline Gallucci reports from The Summit at the Rauschenberg Residency as co-director of Front/Space, a DIY art gallery in Kansas City, MO. Madeline’s weekly reports are part of a large project called Program Report, collecting writing from art spaces around the world that focus on creating accessible, socially engaged programs for the communities the reside within. 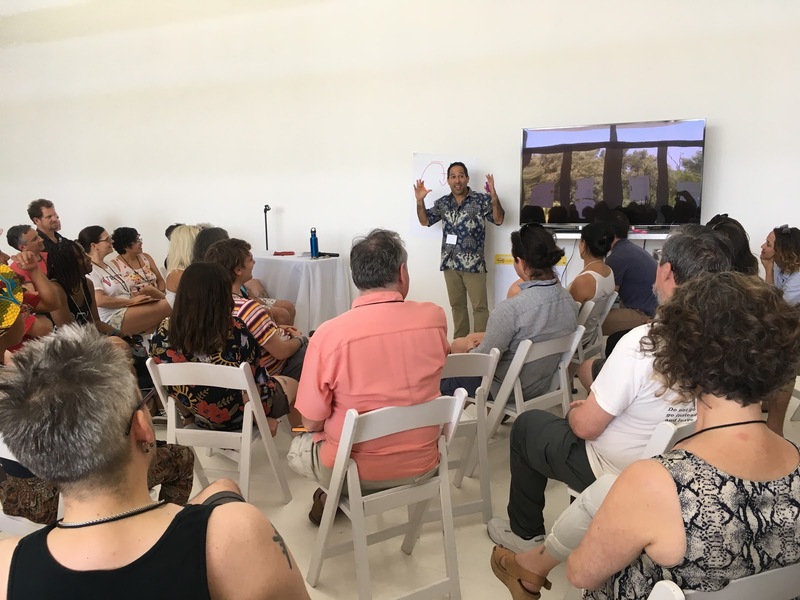 Every year, approximately 70 artists, activists, and organizers from all over the country convene in Captiva, FL to attend The Summit hosted by the Robert Rauschenberg Foundation. Each of these organizations received a three year installment of a $10,000 SEED Grant, nominated anonymously, to use to continue their practice, fund operations, launch fundraisers, and special projects. Front/Space received the SEED Grant in late 2012 which further legitimized and funded the work of this small DIY project space. In 2014, Kendell and I attended our first Summit nearly one month after we assumed the new title of Co-Directors. In addition to these SEED Grantees, we share the honor of attending the conference with the 2015 and 2016 Artist as Activist Fellows. These fellows are given the opportunity to develop a project relating to social justice at The Rauschenberg Residency. Our fellow SEED Grantees are from similar mid-sized cities that are experiencing cultural growth like Kansas City. These regions include Detroit, Buffalo, Cleveland, Phoenix, Atlanta, Boise, Santa Fe, Providence, Houston, Portland, Appalachia and New Orleans. 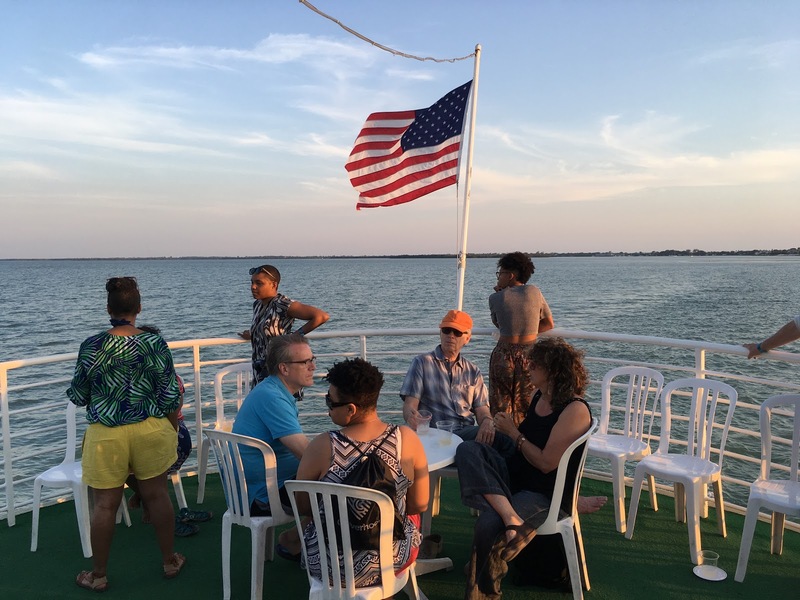 Although each organization spans different media and content (from theater to performance, non-profit to DIY) as well as stages of growth and longevity, our common thread and mission is to advance cultural labor and develop innovative work. The Summit, like other conferences, brings in speakers and special guests to touch on common topics and challenges each organization is dealing with such as Governance, Cyber Security and Fundraising. Unlike other conferences, this intensive week of group activities and deep listening highlights the connections between these cities through intensive peer-to-peer learning. Rather than solely relying on “experts” in the field, we use each other as our greatest resource, sharing specific strategies and personal experiences. The Rauschenberg Residency campus is the ideal location for this kind of group thinking. 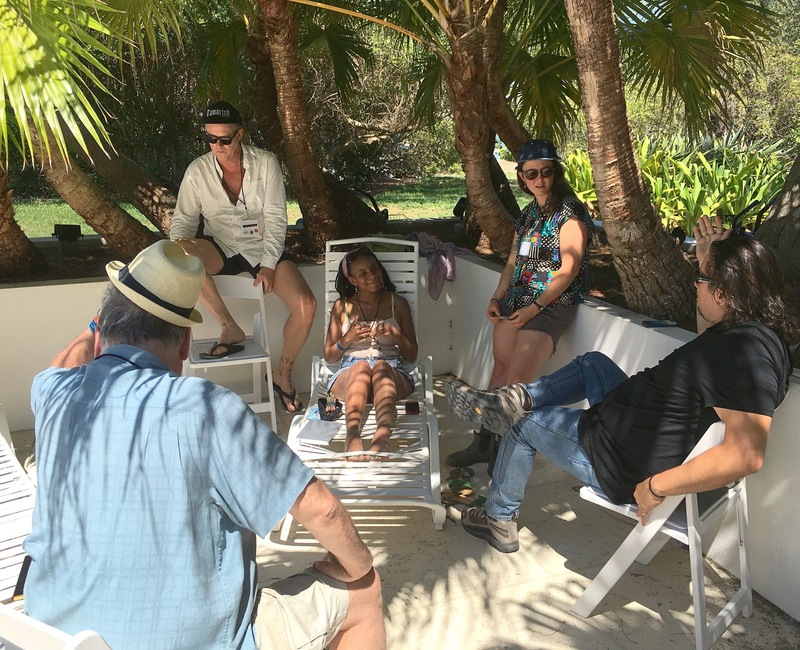 On an island with limited distractions, we spend the week together in both work and play and develop strong bonds that further build our communities. What are your values and structure? How do you grow your vision? What are your top three things you are grappling with? What additional support do you NEED? How do you recruit support? What is the financial cost of your work? How is this work currently funded? What opportunities or barriers does your current structure provide to generate funds to support the work? Based on the answers to these questions… consider what other structures could address some of the items raised and how do they align with your values?What ways can you maximize and deepen your current structure? What steps will you take to continue to identify, build and implement a structure that might benefit your organization and work? We need TRUST to begin COLLABORATION and we need COLLABORATION to move FORWARD. Move away from Obligation and move forward to Inspiration, move away from Transaction and move forward to Transformation. 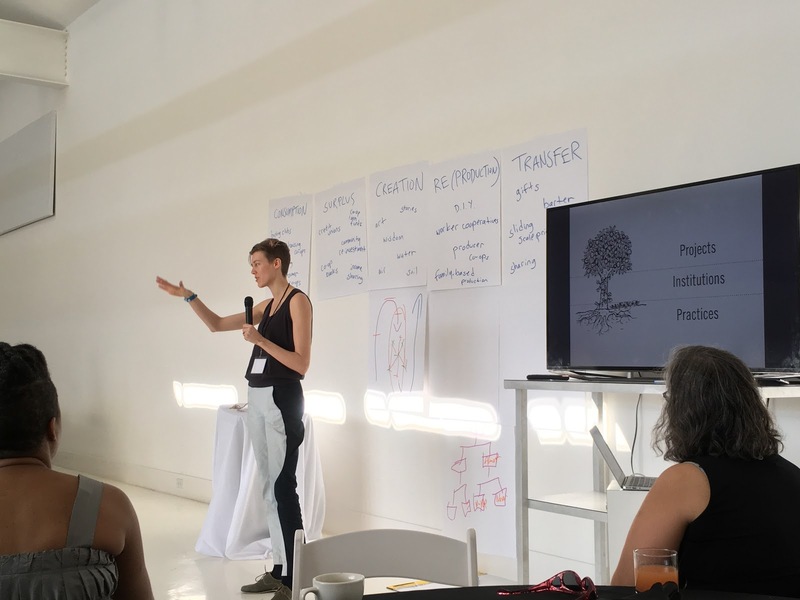 Kendell Harbin from Front/Space in our Peer Consultancy group with fellow SEED Grantees Cattle Track (Phoenix, AZ) and ELAB (Buffalo, NY). 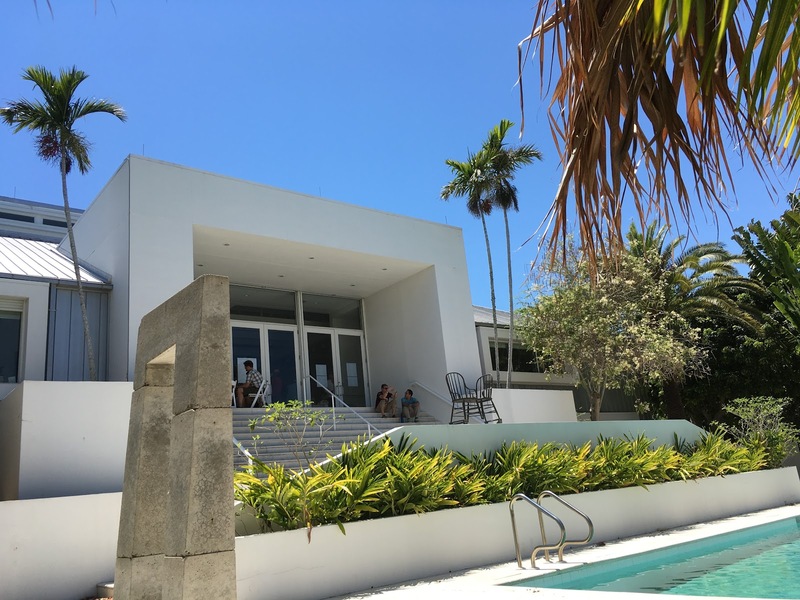 The Rauschenberg Residency is the former studio of the artist Robert Rauschenberg where he spent nearly 40 years making work. Speaker Caroline Woodlard explaining the Solidarity Economy. Time for relaxation is also a time for connection. Facilitator Gibran Rivera inviting the group to explore the paradigm shift.